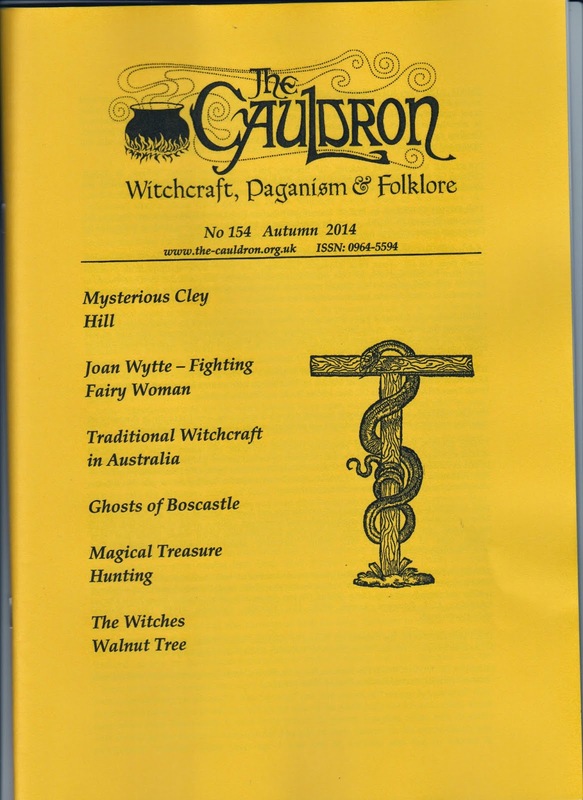 The Cauldron Magazine, Witchcraft, Paganism and Folklore is always worth a read. It has been going since 1976 (we have many of the old editions in the library here) and contains a mix of eclectic and intriguing articles. The most recent edition contains two articles with clear links to the Museum - one on Joan Wytte (her skeleton used to be on display here) and another on the Ghosts of Boscastle by Steve Patterson, author of Cecil Williamson's Book of Witchcraft A Grimoire of the Museum of Witchcraft. If you don't already subscribe to this magazine now is the perfect time.